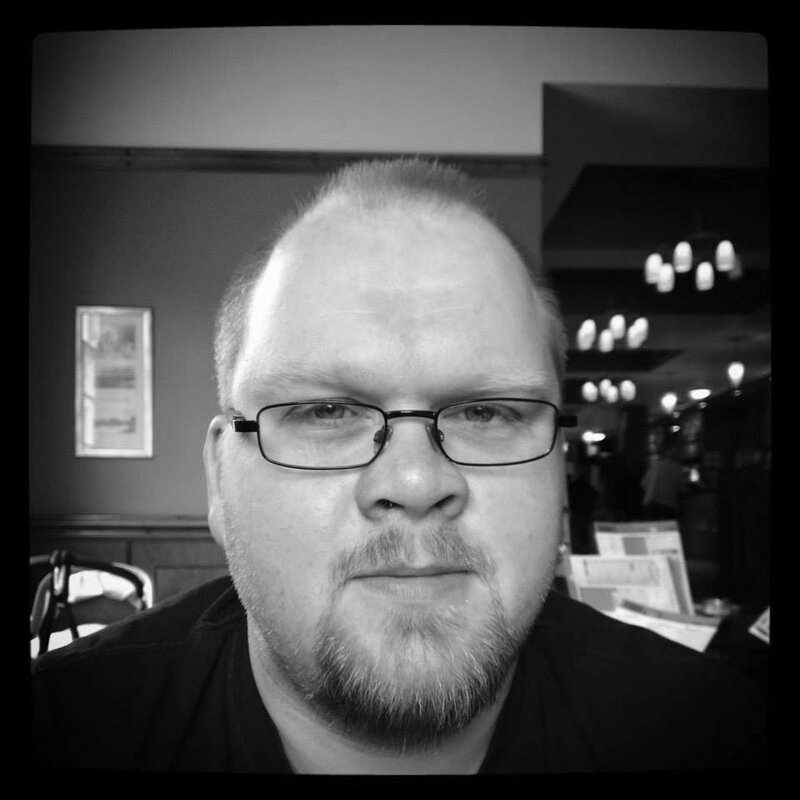 'A film about how people cope with people - and with themselves - under increasing and inescapable pressure. The answer Aldrich overwhelmingly offers? Not well'. 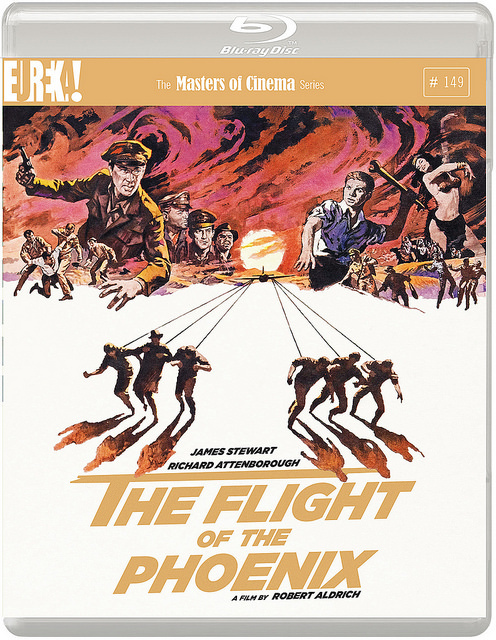 Key to the success of Flight Of The Phoenix is that, despite being a story of people working together to overcome seemingly insurmountable odds, director Robert Aldrich never allows it to become a 'feel-good' film. The construction of The Phoenix in the middle of the Libyan desert is never presented as a bonding exercise between the men stranded together, only as an attempt to survive that appears to become ever more futile as the plot unfolds. This is a film about how people cope with people - and with themselves - under increasing and inescapable pressure. The answer Aldrich overwhelmingly offers? Not well. It's this study of the human condition, presented almost entirely through the playlike setting of the crashed fuselage, which makes The Flight Of The Phoenix such a compelling watch. Occasionally the group's outlook can become a little too pessimistic to enjoy, but for much of the running time Aldrich's gallery of control freaks, cowards and curs - with one or two reputable figures thrown in for variety - make for an engaging ragtag bunch. The strong performances from the whole cast go a long way to achieving this. James Stewart as pilot Frank Towns is excellent, managing to balance the character's generally negative outlook with redeeming leadership qualities and genuine humanity. 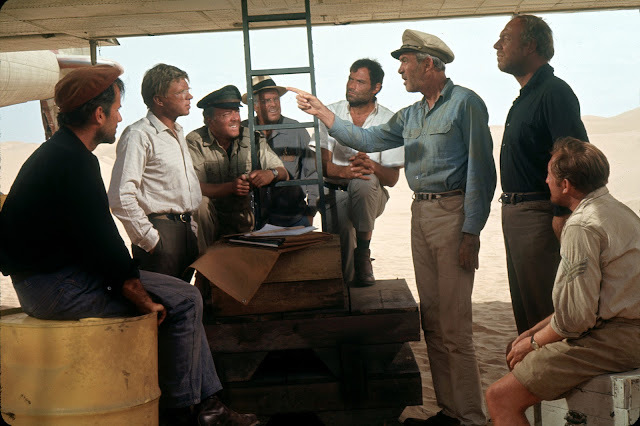 Any scenes Stewart shares with Richard Attenborough as navigator Lew Moran emerge as amongst the film's strongest, the relationship between Towns and Moran growing from professional goodwill and respect to heartfelt friendship. Most notable elsewhere is Hardy Krüger as Heinrich Dorfman, who takes on the paradoxical role of both antagonist and saviour within the group. The German's cold practicality and complete lack of people skills are delivered by Krüger with aplomb, and his altercations with Towns in particular offer the film's most heightened moments of tension. Ernest Borgnine's performance as mentally unstable Trucker Cobb also deserves to be noted, the actor ensuring the character retains his tragic edge throughout and never once steps into parody. 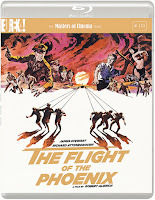 With a running time just over 140 minutes, The Flight Of The Phoenix's most notable flaw is that it doesn't make full use of the time it has. There's an inertia within the opening act that isn't present elsewhere, with a sense that Dorfman's plan to build The Phoenix could have been introduced somewhat earlier to trim some time off the first hour. Despite the film's length, a few of the group such as Mike Bellamy (George Kennedy) and Dr. Renaud (Christian Marquand) remain somewhat underdeveloped compared to the rest. It's an issue which becomes problematic here and there due to the narrative focus on a relatively small group, but one which is largely remedied by the film's strengths elsewhere.